The Futura Biofuse Flexiseal range has been adapted and improved from the previous best-selling goggle, to provide even more comfort with a flexible cushioned seal around the eye. Featuring a softer frame and seal for increased comfort. 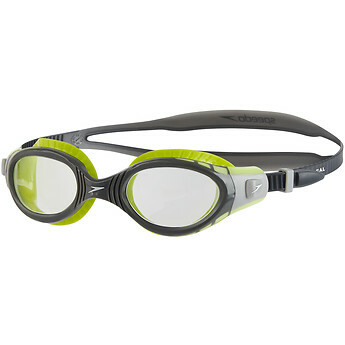 Designed for the fitness swimmer where comfort is paramount. Flexible materials stretch and adjust to your facial contours. SpeedFit strap adjustment enables a quick and easy adjustment. Split strap is designed to evenly disperse pressure. Best goggles for swimming and also durable. Highly recommended.